A Prince of Arran has earned the right to run in Tuesday’s Melbourne Cup with a solid win in the Hotham Handicap on Derby Day at Flemington. The horse, trained by Charlie Fellowes in England and ridden by Michael Walker, proved too strong for his rivals, holding off Brimham Rocks and Jaameh to win the Group One race over 2,500 metres. There was drama before the start, when the race was delayed for several minutes because of a power failure to the photo finish equipment. All the horses were backed out of the barriers. 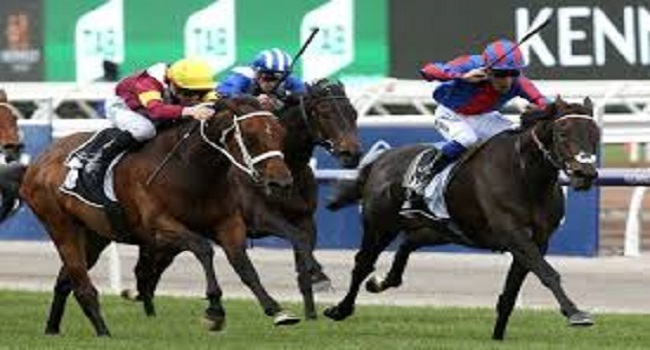 The Melbourne Cup will be held next Tuesday at 5pm and you can watch it live on FBC TV and on FBC Sports.